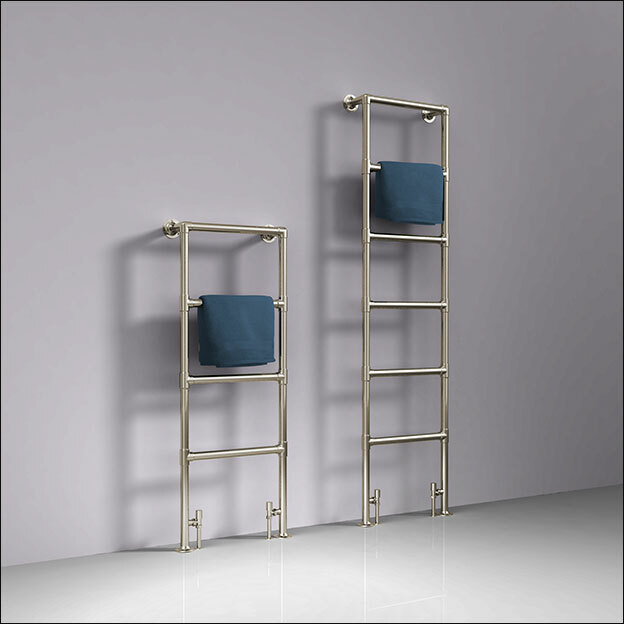 This nickel towel rail is designed to be floor standing, with wall brackets providing extra support. 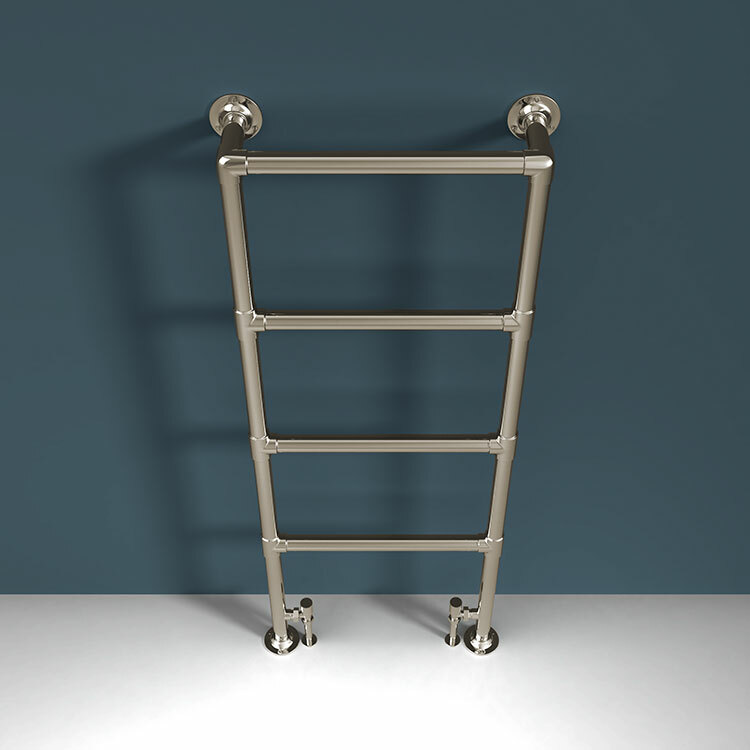 Made in high quality stainless steel with a subtle nickel finish, this bathroom radiator looks great in both traditional and modern bathrooms. 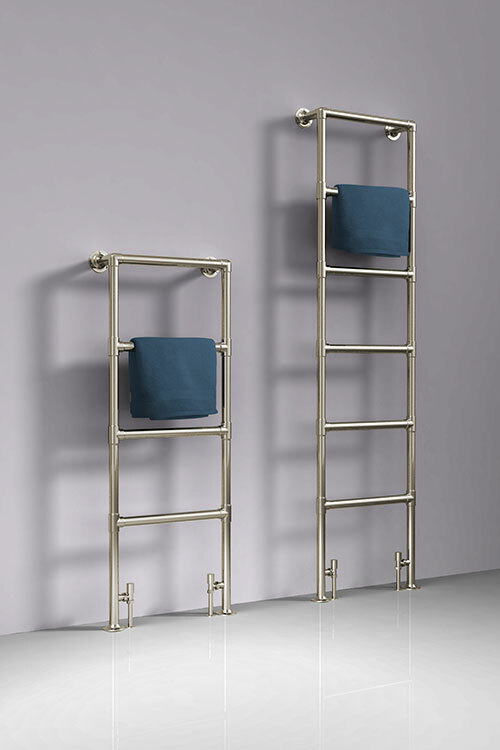 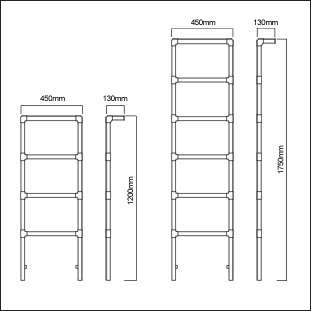 Handmade in Britain, this towel rail is built for quality and longevity. 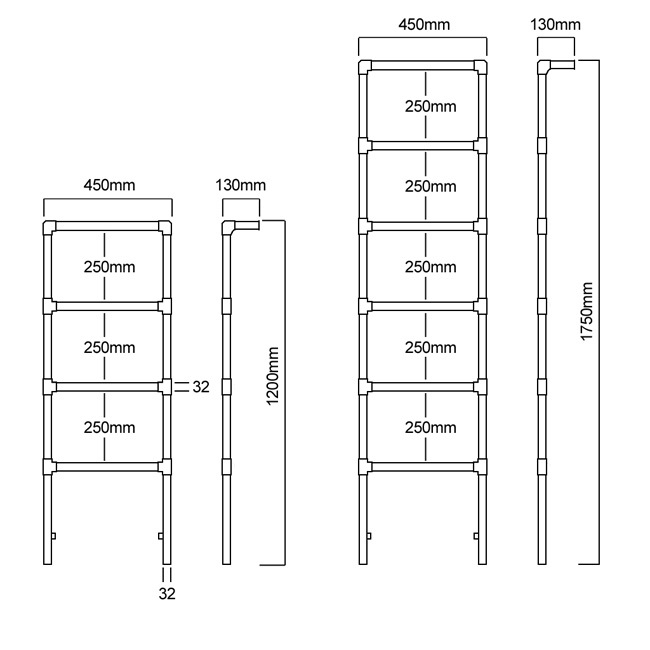 Available for central heating, electric or dual fuel. 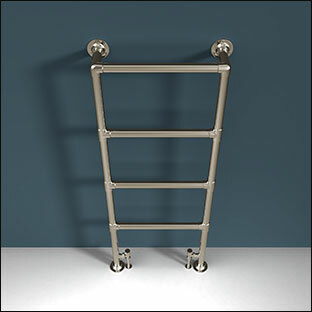 • Polished nickel towel rail.